Looking like an old town house from the outside, this Tachikawa ramen shop is highly retro on the inside too. 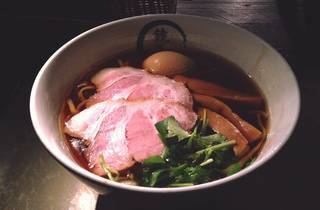 As for the noodles, we have to recommend the aromatic and sweet shoyu ramen, made with seafood-based stock and mixed with both high-quality soy sauce and a meat-based broth extracted from multiple types of pedigree chicken. The soup’s surface is sprinkled with duck oil, a curious but enjoyable flavour, while the noodles are straight and flat. Toppings include bamboo shoots, chashu pork, flavoured egg and French parsley, all carefully prepared without compromises. This refined dish is an excellent example of how good Japanese ramen really can be when put together carefully. 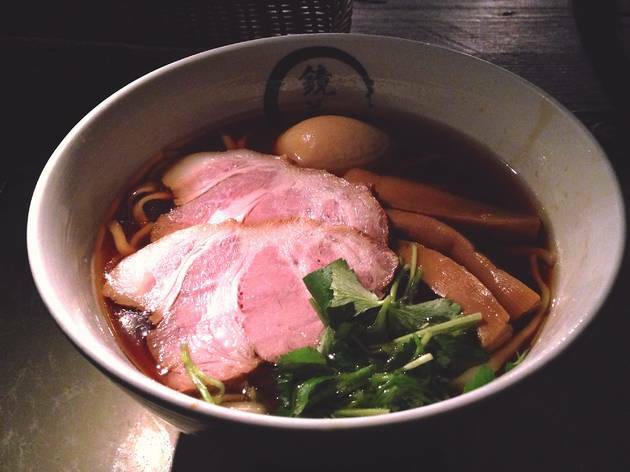 The menu here also includes tori-paitan ramen, tsukemen and a few limited specials.